Late Paying Customers Cramping Your Cash Flow? Do you find some of your larger customers are simply indifferent to your constant requests for on-time payment? It may also be hard to collect from your smaller customers, but generally the process is simpler and it is much easier to engage in a one on one dialogue with a smaller accounts payable department. 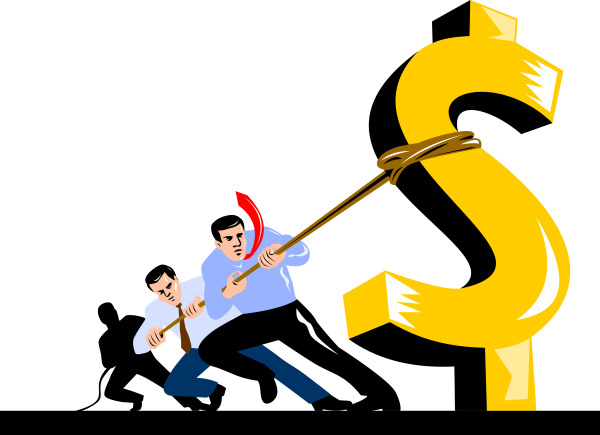 Why is it that large companies squeeze their suppliers by paying their invoices late? Simply put, because they can! Smaller suppliers are afraid to lose their line of revenue so they accept late payment without pushing back for fear of losing the business. What some of these large corporations forget is that late payment is not just damaging to suppliers; it also hinders the rate of economic recovery. How can you solve the late payment issue? Always sign a contract with each of your customers and agree to terms at this time--including late payment penalty fees. While it may not always help with the late payment process, it is something you can fall back on should you encounter long-term payment issues. Establish a ‘go-to’ contact within the organization if at all possible. Someone who can help correct mistakes in invoices and make sure they are in the system correctly. Take time to thoroughly understand the process for submitting payment. Delays can often result in even later payment on invoices. Check invoices for accuracy. Many large companies require invoice entry through automated invoice processing software system. If there is an error it is considerably harder to correct. The Forum of Private Business (FPB) in the United Kingdom, recently conducted a survey of it’s members to pin-point possible reasons for the slow upturn in the economy. The biggest complaint was that of late payment. 24% reported increased cash flow difficulties as their major issue. Not one of the participants reported an improvement in the late payment issue. Research conducted by FPB in an earlier report also showed that at any given point in time, 88% of FPB members indicated that they were not being paid within the timeframe agreed in their contract, and 72% said that this issue had a serious impact on business. They are waiting, on average, 28 days more than the original payment terms to receive payment. What, generally speaking, are the excuses? In order to grow and sustain your business, it is important to plan ahead. This can be hard if you cannot rely upon your customers to pay on time. Your cash flow from accounts receivable that could potentially be incredibly strong becomes weak and unreliable. Certain sectors are characteristically more likely to pay on time. Government and non-profit companies tend to be more reliable payers than distribution for example. Many factors also specialize in handling collections from different industries and know how to handle all your accounts receivable needs. Financing can be scarce and expensive, and the ability to maintain cash flow can be a struggle. In some situations and in certain sectors, many businesses would be succeeding if it were not for cash flow issues caused by late paying customers. The good news is that affordable funding is available through factoring your invoices. Factoring companies are engaged and available to support you through the collections process, which could make the difference between success and failure of your business. Bay View Funding has the cash flow solutions to keep you in the green.